Hewlett-Packard (HP) partnered with Rossignol, a moutain lifestyle brand with over 100 years of experience, launched two limited-edition notebooks for the snow sports fans. HP has designed a Pavilion DV6 machine tagged as the Rossignol Edition which loads in the Rossignol skis and accessories, completing a look and feel of Rossignol to the HP’s DV6 system. HP is long known for its powerful notebooks, while me being a blogger, designer, gadget-reviewer and bringing loads of other work on my machine, that too being a DV6 machine is surely super powerful. Winter sports fans are looking for new ways to express their style and make a statement. Performance technology sits at the heart of the snow sports lifestyle, so it’s logical to extend the Rossignol design ethos to the new HP Pavilion dv6 Rossignol edition. It delivers great design and reliable performance with software to help share experiences and stay connected. It was the expertise of both the companies that helped in developing the system. Rossignol being committed to the environment and taking extreme care when developing products, asked the HP team to print the notebook’s packaging with soy/water based inks and recycled materials. For all winter sports enthusiasts, Rossignol is the true legendary brand. We share common values with HP such as technological leadership and a passion for innovation. 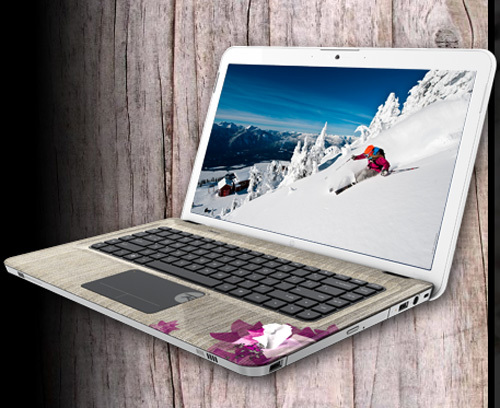 This year we’ve taken our partnership a step further and co-created the striking new HP Pavilion dv6 Rossignol edition notebooks. A perfect accessory to our ski collection, stylish without compromising on quality or performance, we’re confident these notebooks will be on many of our customers’ wish-lists this season. The limited edition laptop would be available from January at a starting price of 699 Euros.